SUI Solutions. FileMaker Templates. 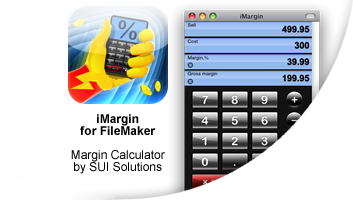 Professional Software Development for FileMaker. 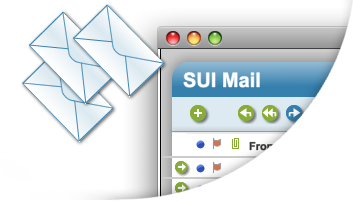 SUI Solutions offers expert FileMaker solutions, templates and custom development services designed to bring functionality to your software. Our FileMaker development specialists take care of your IT requirements leaving you free to concentrate on your business. Vedatrak CRM now fully supports FileMaker 12! 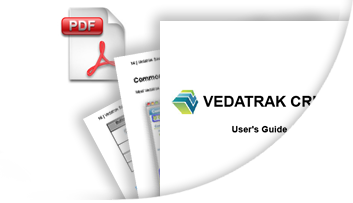 Vedatrak CRM v3.1 is FileMaker 12 compaible now. Moreover fully supports of IWP still available. Vedatrak Full Pack still available. You can buy all Vedatrak modules with an amazing discount! FM GO support - for mobile access to the Calendar everywhere from your smartphones or pads. 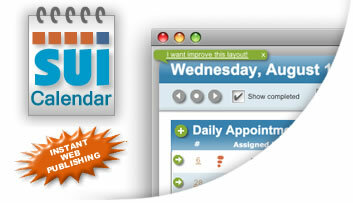 New SUI Calendar uses Vedatrak technology and style. 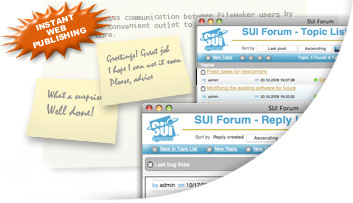 It means you can easily migrate from SUI Calendar to Vedatrak in the future. 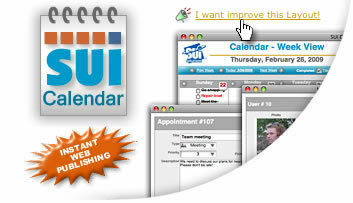 The Calendar includes the following languages of interface: English, Deutsch, French, Turkish, Russian. And you can add your own language in any time via Multilingual layout.